Corner House, the restaurant that has taken over the previous Au Jardin’s location, is finally open! As much as I was sad to see Les Amis’ Au Jardin go, I am happy to report that the colonial building that sites Corner House will once again be bustling with diners. I was fortunate to be able to partake in Corner House’s grand opening due to a last minute turn of events. Hadn’t even brought my bag along with me actually! Nor my usual trusty DSLR. These pictures are all taken with my iPhone 4!! This conservation building, the residence of the former assistant director E.J.H. 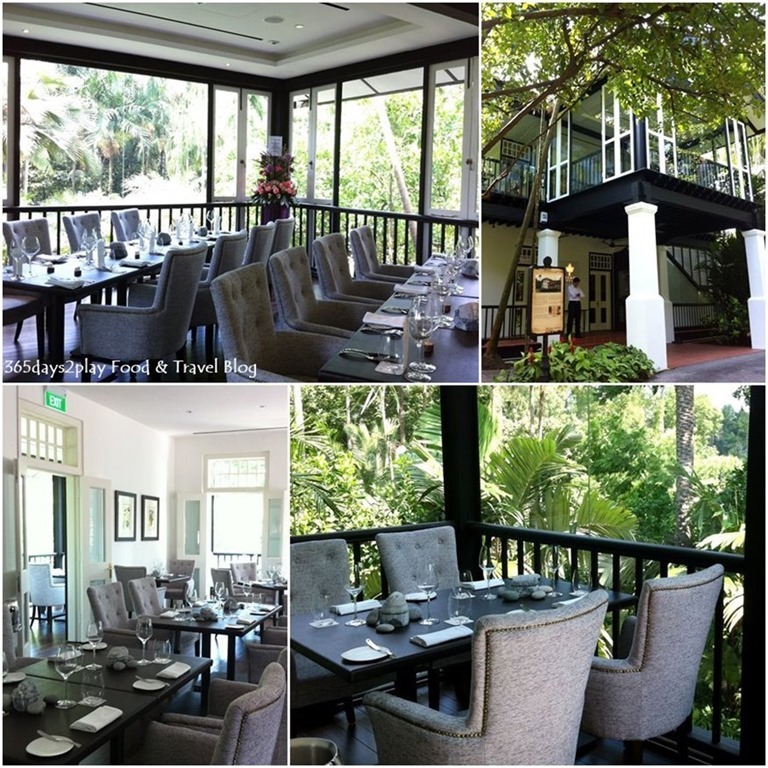 Corner of the Singapore Botanic Gardens now houses the Corner House restaurant. While we won’t have the luxury of living in this building like E.J.H Corner, wouldn’t you agree that dining in this history steeped building amidst lush greenery might be the next best thing? You will be able to see some black and white photos of this former residence hung around the restaurant. Corner House serves fine-dining French cuisine with strong elements of gastro-botanica. You will see that the the herbs and vegetables that make up your meal are given equal emphasis as with the meats and seafood.